Welcome to the very first Runway Inspired challenge for 2015! 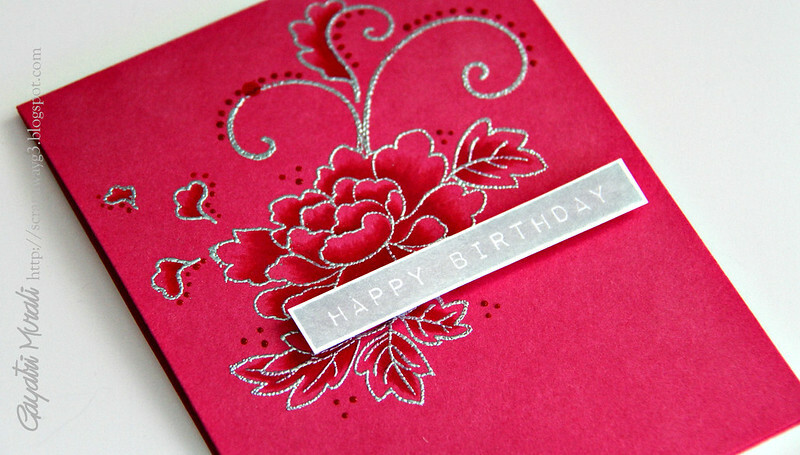 I have used hot pink card stock as the base of the card. 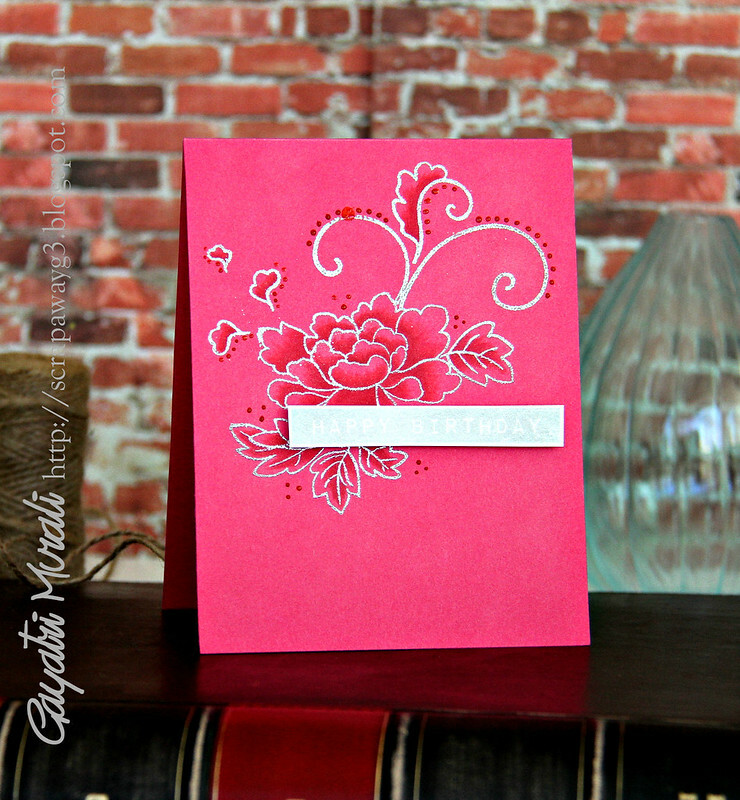 I silver heat embossed the images from Peony Scrolls stamp set from Altenew on the card front. I added shading using pink and red copic markers. The sentiment is from Label Love stamp set also from Altenew which I have stamped using Delicata silver pigment ink. Finally I have added some details using Lady Bug Picco embellisher from Tsukineko. Here is a closeup! Love this ..So gorgeous !!! Wow, this is so elegant! Stunning! This is gorgeous, Gayatri! I love it! Beautiful. Love the hot pink with silver Gayatri.